American Audio PXW 18P 18" Powered Subwoofer - FREE SHIPPING! 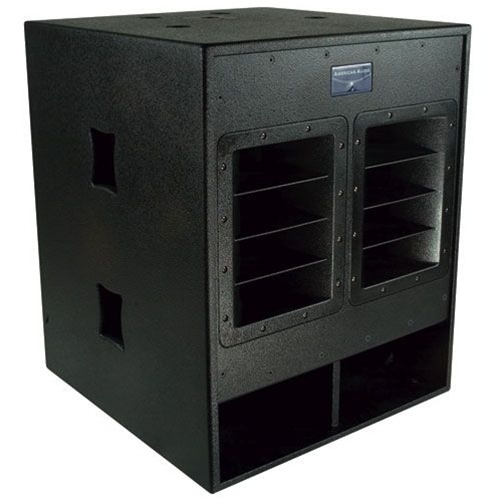 This 18" powered subwoofer will provide plenty of boom without to shake the room. It gives you balanced in and out XLR jacks, as well as a thru full range output, gain control, LED indicators, a phase switch for switching polarity and a protect mode that will prevent the subwoofer from getting too hot by stopping all output. Subwoofer gain control knob regulates the output level of the subwoofer, and set balance between the speakers and subwoofers. Dimensions: 35.4" x 28.7" x 29.1"